While this was very clearly a spambot trying to advertise and build links for a home decor company, it’s not a terribly bad question (even if the grammar is). 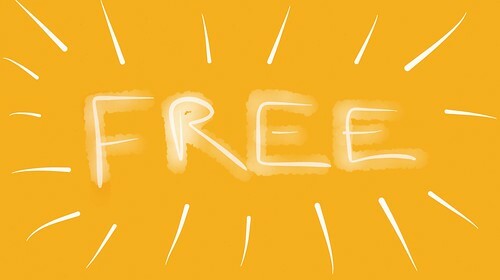 What are the best free PR tools? Here’s our short list of recommended tools. Done well, public relations is a lot of hard work around relationship building with media contacts, so that when a client has a need, you can reach out to the appropriate contacts and get worthwhile stories placed. As such, the basic, free social networks are mandatory – Twitter, Facebook, LinkedIn, and Google+. Any PR professional worth their salt will have personal and/or agency profiles set up and active on those four networks at a minimum. Depending on their focus, Instagram and Pinterest may also be mandatory. It’s essential to have both the desktop and mobile versions of these services installed, so you can manage them on the go. To make the most of those networks, we strongly recommend basic publishing tools like Hootsuite or Buffer. The basic editions are free of cost (though you will receive frequent upsell opportunities, and you may not be able to access every feature). One of the things that you’ll do the most in PR is take notes. A decent note-taking app is strongly recommended, and Evernote is the gold standard of free note-taking apps. The paid version is worthwhile if you do a lot of events, as the business card scanning tool is invaluable, but the free version will let you get through the day and be able to take notes on a mobile, then sync back to your desktop. Staying in tune with the news is also essential, and that means having a decent blog reader. Depending on your reading style, you may prefer a magazine format, in which case Flipboard is your go-to free reader. If you prefer a Google Reader-style format of a river of news, Feedly is your preferred reader. Both are free (with paid upgrade options). Combine a blog reader with a coverage monitoring service like Google Alerts or Talkwalker Alerts (both free) to make sure you’re staying on top of client news. If you’re on the go a lot, or you don’t want to shell out a few hundred bucks for office suite software, you can’t go wrong with Google Docs. It’s web-based collaborative office software that’s “good enough” for most routine tasks. If you absolutely must have desktop applications for free, Open Office is a good alternative to the Microsoft suite. For email specifically, there are few email tools as good as Mozilla Thunderbird; of course, if you work at a PR firm, you’ll probably use the standard Microsoft email client, Outlook. It almost goes without saying that Google, the search engine, is a mandatory free PR tool. To get the most out of it, look into taking a free course on learning how to search more intelligently with Google. Finally, the cornerstone skill of great PR is being able to write well. If you struggle with writing well, take a free online course in iTunes University for free. Once you’ve gotten the learning done, use free tools like SlickWrite to help proofread your writing on the fly and make it stronger. This list is by no means comprehensive, and there are certain paid tools that PR professionals and agencies view as necessary, such as access to a newswire service like MarketWired or a research service like Cision, but neither is free, nor are there any realistic free alternatives that are worthwhile. They’re a cost of doing business, an investment that is almost mandatory to be effective as a PR professional. You can do PR without them, but you will be less efficient. 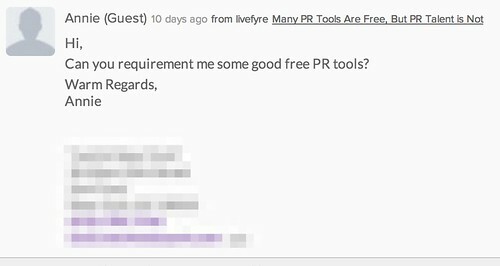 What other free tools do you use as a PR professional?